It was a sunny afternoon in Sausalito, California, Sunday, June 15, but I and enlightened souls chose the semi-darkness of the No Name Bar (757 Bridgeway) from 3-6 PM for the good hot music and sweet ballads and occasional hijinks of trombonist / philosophical wanderer Mal Sharpe and the Big Money in Jazz Band. It was fun, and often even more memorable than that. Incidentally, yelp.com lists the No Name Bar as a “dive bar,” but as one of the patrons said, “I know dive bars, and this is no dive bar.” The No Name is rather too clean and congenial to qualify . . . sorry! Mal had with him Paul Smith, string bass; Carmen Cansino, drums; Si Perkoff, keyboard and vocals; Tom Schmidt, clarinet, alto, and vocal; Andrew Storar, trumpet and vocals: a very cohesive group, as you will shortly find out. People who might only know Mal from his many public lives might be unaware of his work as a jazz trombonist and singer. In the first of those roles, he is a fine ensemble player — simple, uncluttered, propulsive; as a soloist he emulates Vic Dickenson and Dicky Wells, happily! Paul Smith is a subtle bassist whose time and taste are delightful; his solos are concise and tasty, and the band rests easily on his foundation. Drummer Carmen Cansino was new to me, but she’s a wonderfully attentive drummer who catches every musical cue and never gets in the way: her solos have the snap of Wettling or Leeman — a series of well-placed epigrams. Si Perkoff’s harmonies are supportive, his improvisations eager but never garrulous: he’s a witty, relaxed player with Monkish edges. The clarinet, by its very nature, inspires some of the most experienced players into unedited exuberance. Tom Schmidt’s phrases are neat constructions; his sweet / hot alto playing would make Charlie Holmes very happy. I knew Andrew Storar as the lead trumpet in Don Neely’s Royal Society Jazz Orchestra, but was unprepared for how fine a small-band soloist he is — with a graceful, stepping approach and a burnished tone reminiscent of Doc Cheatham. Andrew, Sy, and Tom are also first-rate singers . . . with markedly different styles. These six players blend marvelously as a unit — the band rocked through three sets without a letup. Mal is a sharp-edged improvisatory comedian (he doesn’t tell jokes; he invents situations and then builds them into wonderfully unbalanced edifices) who plays with and off of the crowd. Here are some of the highlights of another Sunday in the bar with Mal. I know where the GPS will be pointing me next Sunday. In fact, I think I already know how to get to 757 Bridgeway without the GPS, and given my directional skills, that is the highest tribute I can pay Mal and the Big Money in Jazz All-Star Orchestra. And don’t forget to say GOOD NIGHT, PROVINCETOWN. We are, after all, on the air. 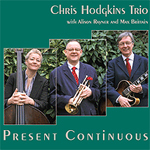 Meet the versatile and creative Cardiff, Wales-born trumpeter Chris Hodgkins. His music answers questions: how to make art new without abandoning the tradition; how to have one’s own voice while honoring your ancestors and colleagues. You’ll hear that his music is, on one hand, rooted in a Mainstream tradition: I hear Braff, Lyttelton, Buck Clayton, echoes of Horace Silver and Blue Note recordings of the Sixties, of Henry Mancini and occasionally Strayhorn . 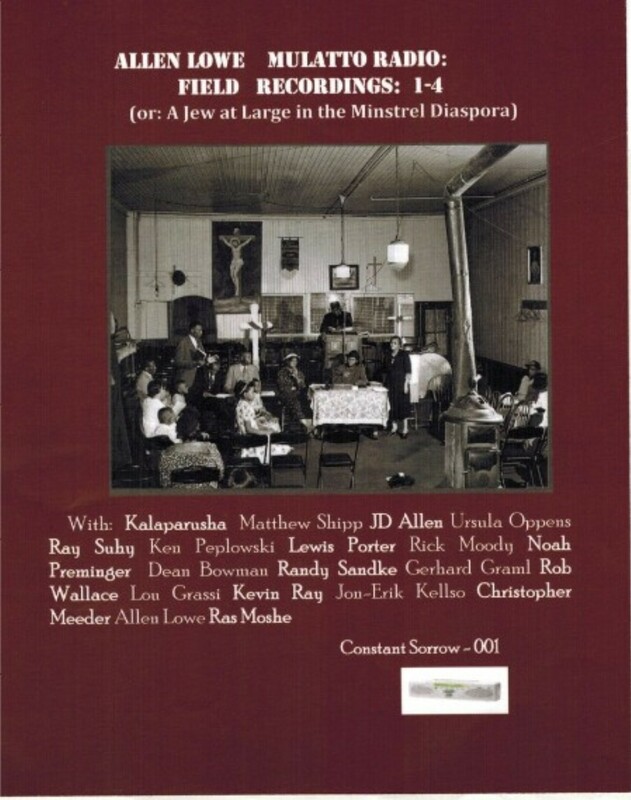 . . in a streamlined instrumentation (a trio of trumpet, guitar, and bass on two CDs, enlarged into a quartet on the third by the addition of tenor sax). Chris himself is a singular player; his tone ranging from the silken to the edgy, his lines winding and floating over the ringing lines of Brittain’s guitar, the deep pulse of Rayner’s string bass, and on BOSWELL’S LONDON JOURNAL they all get along nicely with the lemony alto saxophone of McLoughlin. By the way, Chris loves the assortment of sounds and timbres that mutes give to his horn (as well as playing open) so the three discs never sounded like more of the same. BOSWELL’S LONDON JOURNAL is a real pleasure — and I am not speaking as a still-active professor of English, but as a jazz listener. I admire Chris’s awareness of his emotional and spiritual roots in the literary / cultural past, and his joyful audacity. The first track on the CD, THE MACHINE, describes a stagecoach ride taken by Boswell. Chris’s original lines fall somewhere in between the twelve-bar blues and OLE MISS, and the sound of the band perplexed me — light, airy, yet serious — until I recalled its analogue: Buck Clayton’s Big Four for HRS in 1946: trumpet, clarinet, electric guitar, and bass (Scoville Brown, Tiny Grimes, and Sid Weiss, if I recall correctly). What follows is not exactly program music: had I lost the liner notes explaining what each composition referred to, I would have still enjoyed the music — but knowing the artistic structure underneath made this a much-more-than-usually pleasing musical travelogue, veering here and there from updated Thirties rhythm ballads to hints of Horace Silver and Hank Mobley as well as very hip film soundtracks and Sixties pop of the highest order (AUCHINLECK). I don’t know if I would have guessed the subtext of the winding, pensive REPENT IN LEISURE (referring to Boswell’s having caught gonorrhea), but the historical / musical connection works for me. It is great fun to listen to the music on this disc — full of feeling, subtlety, and charm — whether reading the notes at the same time or as an after-commentary. There’s a Stephen Sondheim song — BOUNCE — from the musical of the same name. I heard it many times on Jonathan Schwartz’s show on WNYC-FM. It’s a cynical paean to the ability to re-adapt, to get up off the floor, to reinvent yourself, sung by two brothers who have seen a great deal. 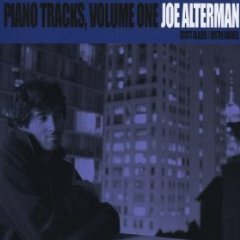 I thought about it, however irrelevantly, when the young jazz pianist Joe Alterman sent me a copy of his debut CD, PIANO TRACKS (VOLUME ONE). Young? He’s twenty-one. Credit for my knowing about Joe is due to the energetic Marc Myers, of JazzWax: read his December 2009 post on Joe here: http://www.jazzwax.com/2009/12/joe-alterman-piano-tracks.html. Joe admires the lyrical, singing, propulsive styles — they’re timeless — embodied by Hank Jones and other giants. But back to the CD at hand. It was recorded last year, and it is a comfortable kind of music: swinging without being self-conscious, embracing the past without being restricted by “repertory” conventions. 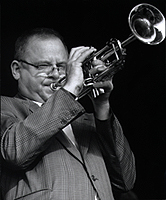 Joe is a melodic player — someone who respects the compositions he sets out to play (Arlen, Johnny Green, Styne, Gershwin, Mancini) and is also an adept composer. I’ve heard some contemporary pianists recently who seem to believe that their improvisations must be aggressive to be compelling, so they rampage over the keyboard as if they were annoyed by it. That’s not Joe’s style. He knows the virtue of space, of letting lines breathe. And he knows how to swing naturally in the fashion of Red Garland and Ahmad Jamal. Some of the infectious bounce of this CD is due to bassist Scott Glazer and drummer Justin Varnes (on one track, they are replaced by Sam Selinger and Tiffany Chang), but with all due respect to them, I think Joe could swing on his own. He understands the possibilities within “medium-up-tempo,” and the CD has its own rocking momentum. And several of his originals deserve their own life — the moody THE FIRST NIGHT HOME, and the naughty blues (BEFORE YOU BRING ME MY CORNBREAD) SLAP SOME BUTTER ON THAT BISCUIT, which surely has lyrics waiting to be sung. Sondheim’s song urges us all to “learn how to bounce,” which I know is a commendable skill — but young Joe Alterman already knows how. Welcome!